LIVERMORE, Calif. -- A woman was carjacked at gunpoint in Livermore and officers captured a suspect after a high-speed chase Wednesday, police said. Logan Masterson, 37, was arrested on suspicion of carjacking, burglary, felon in possession of a firearm, possession of stolen property, felony reckless evading, resisting arrest and possession of metal knuckles, according to police. The case began when a woman reported that when she was walking to her vehicle in the 2100 block of Third Street around 7 p.m., a man pointed a handgun at her, demanding her keys, police said. Fearing for her safety, the woman gave up the keys and the suspect drove away in the victim's vehicle, police said. The victim immediately called police. Officers found the vehicle traveling northbound on North Livermore Avenue at Las Positas Road and tried to make a traffic stop, according to police. 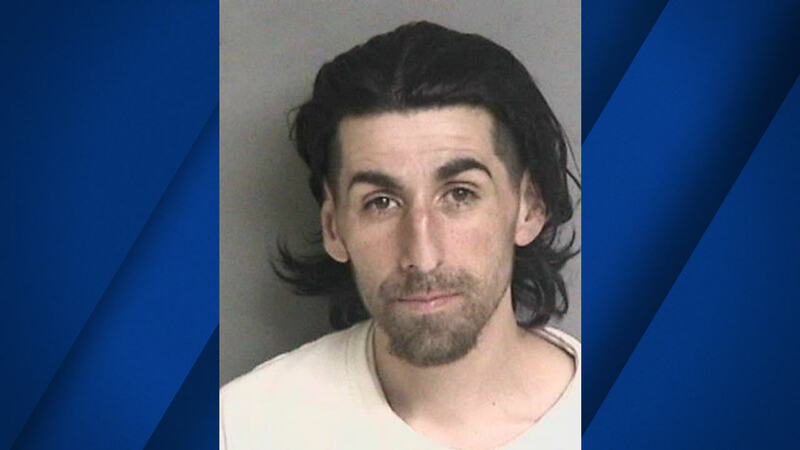 The suspect zoomed away, taking the Greenville Road exit and fleeing eastbound on Altamont Pass Road, police said. With officers in pursuit, the suspect stopped on the shoulder of the road. The suspect resisted arrest, according to police, but officers were able to take him into custody. The officers allegedly found two handguns in the carjacked vehicle; later, another victim reported a residential burglary in which the two handguns and other property were stolen, police said. Anyone with information about the case is encouraged to call police at (925)-4777.